On August 9, 2014 a unarmed black teenager, Michael Brown, was shot and killed by a white police officer, Darren Wilson, in Ferguson, Missouri. This shooting sparked anger in many and sparked protests that went on for weeks after. According to a New York Times article, “Mr. Brown’s body was about 153 feet east of Officer Wilson’s car. Mr. Brown’s blood was about 25 feet east of his body. This evidence supports statements that Mr. Brown continued to move closer to the officer after being hit by an initial string of bullets.” After the Grand Jury decided not to indict Mr. Wilson from his job, even more riots arose and Ferguson was even more tense about the situation. As many of you have noticed, there is a significant exhibit disrupting up the hallway on the fourth floor. Mr. Todd, Photography & Film Teacher, curated this exhibit and has pitched in on what its about and why it’s there. “I put it on the fourth floor because it’s a high traffic place that a lot of people go through and it gets a lot of natural light. 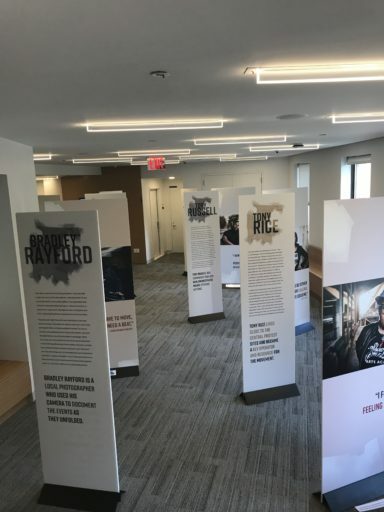 This exhibit was organized by the University of Dayton, a program that works with high schools students to make photography projects around social justice and civil rights. 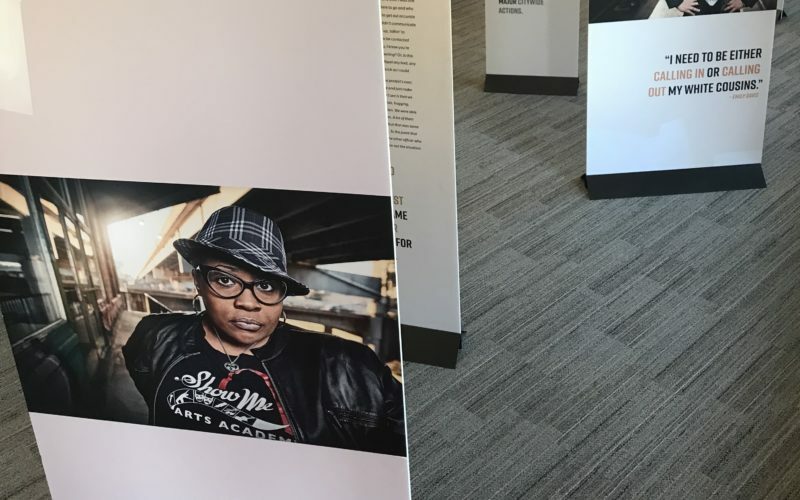 They also work with people in Ferguson to capture their perspective of the events that happened in 2014 on how the city has changed and grown since the riots that occurred there and how that affected their community.” The university worked with professional photographers and students and documented these personal stories and made this exhibition to rely a message to people that this the story they should be listening to and not ones they found on social media. One of the directors of Proof, Leora Conn, is going to come next Thursday and speak in a way through about this exhibit. She will be here from 12-2 so if you are interested in learning more about this exhibit come Thursday, January 25 (tomorrow!). How is Mental Health Managed at Grace? Anon on Where Does Grace Fall on the Political Spectrum? Are Conservative Views Undervalued at Grace? Nicholas Brodie on Where Does Grace Fall on the Political Spectrum? Are Conservative Views Undervalued at Grace? Copyright © 2019 The Grace Gazette. All Rights Reserved.